Dr. Lu received her bachelor’s degree in Molecular Cell Biology at the University of California at Berkeley. She then moved to Boston to attend the Tufts University School of Dental Medicine. During her senior year, she completed an externship at the Lutheran Medical Center in Brooklyn, New York. 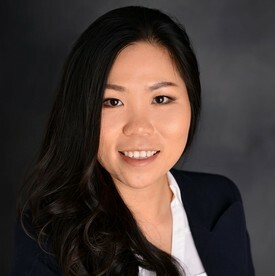 Upon graduation from Tufts University, she worked in Boston as an associate dentist for four years before moving to Port Arthur in 2014 to become the proud owner of Premier Dental Care. As the mother of two—a son named Ethan and dog named Bam Bam-Dr. Lu treats each of her patients as if they were members of her very own family. By focusing on open and honest dialogue, she makes sure her patients thoroughly understand all of their options while helping them make important decisions about their oral health.